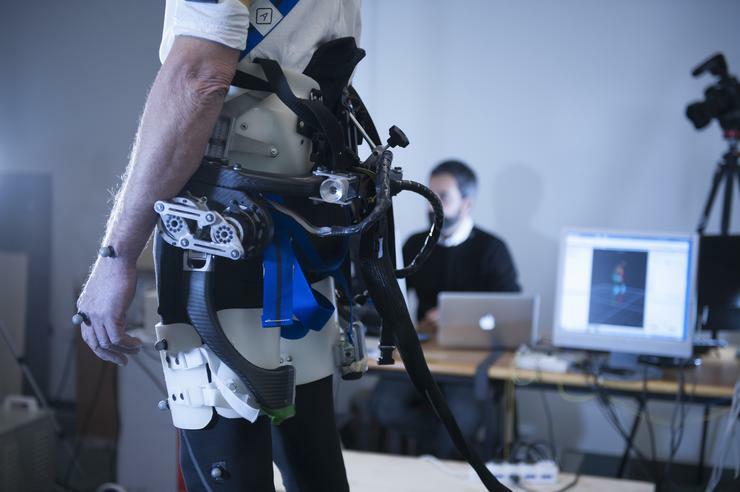 A team of Italian and Swiss researchers has developed a prototype exoskeleton that can prevent elderly people from falling. 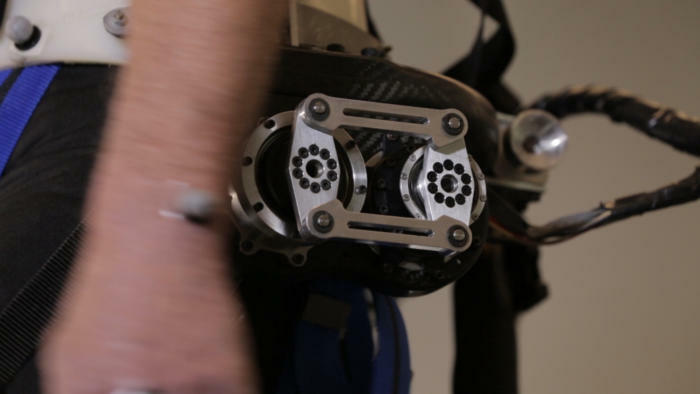 The device is wearable from the waist down and made of carbon fiber braces. These can be easily adjusted to the wearer by tightening a few nuts and bolts. A prototype of the exoskeleton at a rehabilitation center in Florence, Italy. Once the exoskeleton is fitted, it must first learn the specific walking patterns of the user, known as gait. 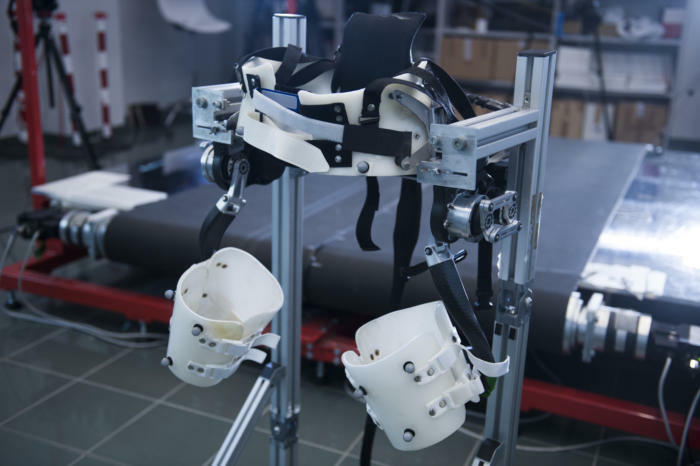 The exoskeleton then uses an algorithm to detect deviations from the user's regular movement and recognize the onset of a fall. To simulate a fall, researchers had 69-year-old volunteer, Fulvio Bertelli, walk on a treadmill designed to unexpectedly slide out from under him and make him lose his balance. When this happened, motors fitted to the exoskeleton pushed down on both of Bertelli's thighs to re-stabilized him. Motors resting on the wearer's hips push down on the user's thighs to re-stabilize them. Researchers say the next step is to create an exoskeleton that is more discrete and portable so that is can be used in real-life environments. The idea is that the exoskeleton can also be used by people who are physically impaired and by individuals suffering from neurological disorders. The results of the study are published in Scientific Reports.